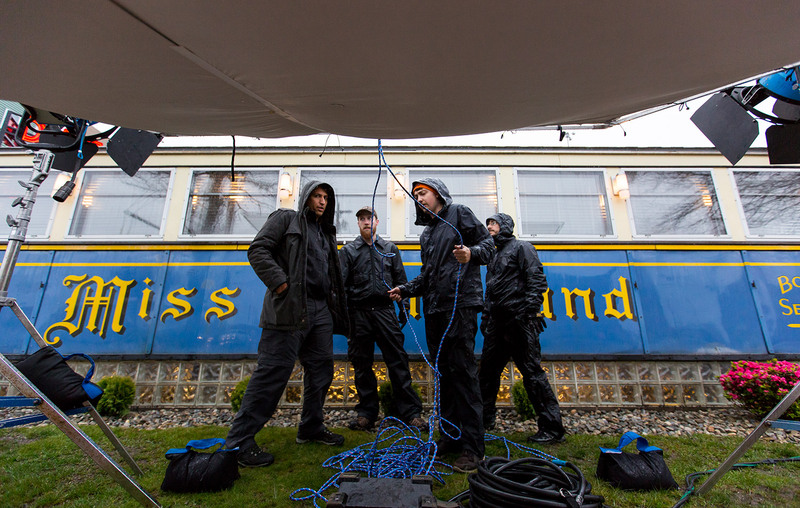 Director of photography Aitor Uribarri, left, discusses lighting with the crew outside the Miss Portland Diner during production of "The Witch Files." From left: Uribarri, grip Tadin Brown, gaffer Harper Alexander and key grip Dean Merrill. A lunch scene was to be filmed at 8 p.m., so "day lights" were to be ablaze for the scene.